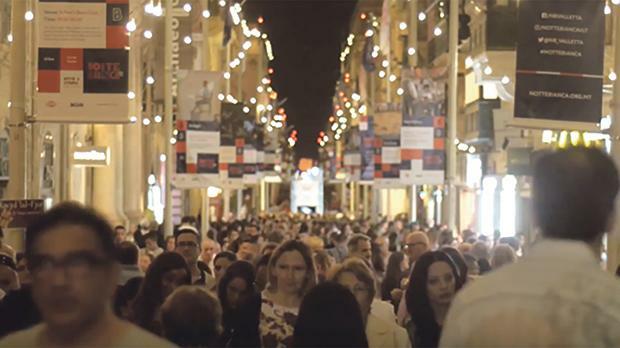 Notte Bianca, Malta’s biggest annual arts and culture festival, will be held tomorrow evening in Valletta. All the city’s streets and squares from City Gate to Fort St Elmo will host free open-air events and concerts featuring music, dance, theatre, literary, visual and digital arts, while State palaces, churches and museums will be open to visitors for free. Malta Public Transport is operating a special service. Routes going towards Valletta will run more frequently from 4.30pm to cater for the expected higher number of passengers. Holders of Tallinja cards may pay the special night fare of €2.50. Non cardholders may pay €3 on the bus. Ferries will operate a shuttle service from Sliema to Marsamxett and from the Three Cities to Lascaris and back. This ferry service will run from 7pm till 2am on Sunday. Gozo Channel will run according to its summer schedule. A taxi service will be available from Ġlormu Cassar Street. The park and ride service to the Blata l-Bajda and Floriana car parks, as well as the MCP car park, will be operating on the night. The Upper Barrakka Lift will be running at a cost of €1 per trip. For more information about transport, call 2122 2000. For details about theprogramme of events, visit the website http://lejlimdawwal.org .